Clarence R. Bollenbacher was born in Liberty Township, Mercer County, Ohio, on 3 November 1902, the second child born to Fredrick Jacob and Anna Barbara (Huffman) Bollenbacher. The family lived near Skeels Cross Road at the time of his birth. His given name is spelled Clarants in the Mercer County birth records. There is no indication what his middle initial R stood for. 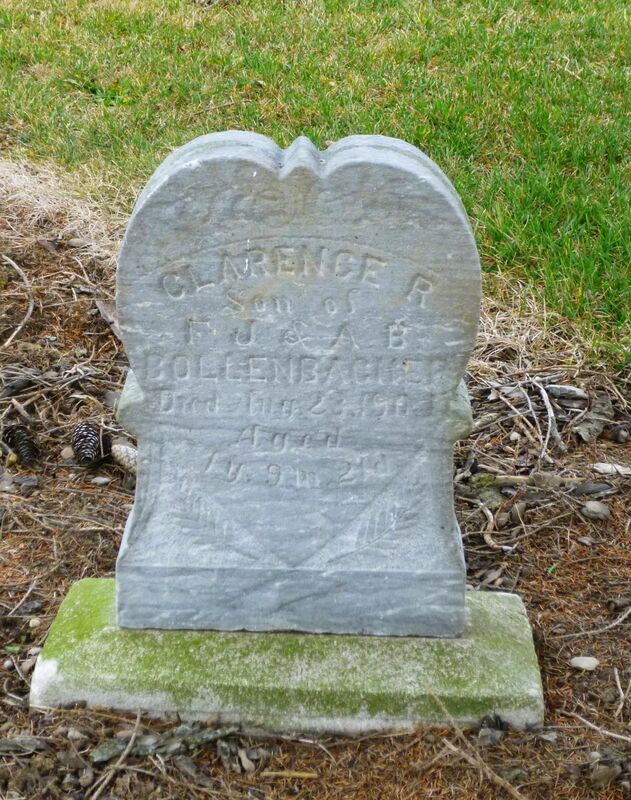 Clarence died in Mercer County on 23 August 1904, not yet 2 years old. There is no record of his baptism or death in Zion Chatt’s records and no record of his death in the Mercer County Probate. 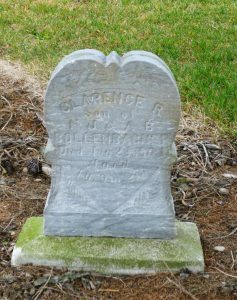 “Ohio, County Births, 1841-2003,” database with images, FamilySearch.org, Clarants Bollenbacher, 3 Nov 1902; Liberty Township, Mercer County Births, Vol. 4 (1901-1908), p.14, no. 66; FHL microfilm 914953.